~BEST WORKS WITH AT&T INTERNET CONNECTION~ ~OTHER CONNECTION SUBSCRIBERS CAN BUY IT AFTER CONFIRMING WITH THEIR SERVICE PROVIDERS~ BRAND NEW ITEM 2 to 3 Business Days Shipping Return if defective within 14 days from the day of delivery No shipping to PR, Alaska, Hawaii, Guam, PO Box, APO or FPO Seamless connectivity Stay connected as you move throughout your home. 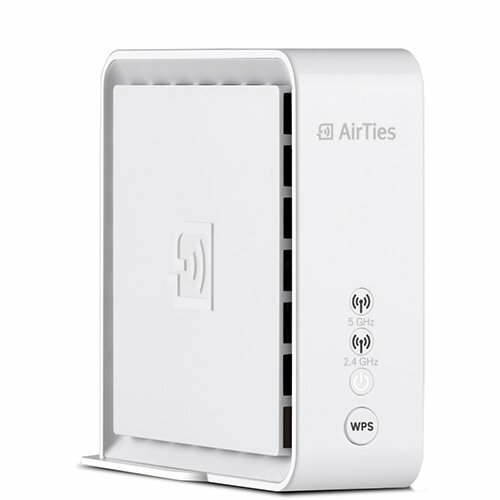 The Airties 4920 Smart Wi-Fi Extender utilizes state-of-the-art technology to expand your home Wi-Fi and cover locations with a weak Wi-Fi signal. * Adding a Smart Extender to your Home Wi-Fi network will increase your coverage by up to 1,000 sq. ft. and helps to reduce network congestion. Enjoy uninterrupted, fast Wi-Fi With mesh technology, the smart extender automatically selects the best and fastest available connection for each of your in-home devices so you can stream music and videos with less buffering. And with its simple setup, it only takes a few minutes to get connected. Smart Home Manager integration The Smart Home Manager app helps you personalize and manage your home network and connected devices. ** See who's connected, find and change your network name and password, invite guests via text or email, get support, and more. If you have any questions about this product by AirTies, contact us by completing and submitting the form below. If you are looking for a specif part number, please include it with your message.